V-Lock batteries. There’s a babillion of them out there. Some cost a fortune, some don’t. 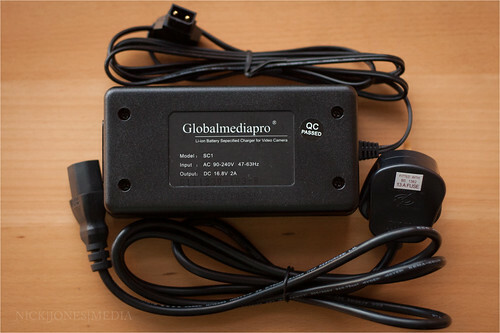 This one cost me £160 for the battery and charger and about £27 in import duty to the UK and I got it straight from the people at GlobalMediaPro. This entry was posted in blog post, tests, video and tagged endurance test, flickr, import duty, led indicators, power input, unboxing on February 21, 2012 by NickJonesMedia. 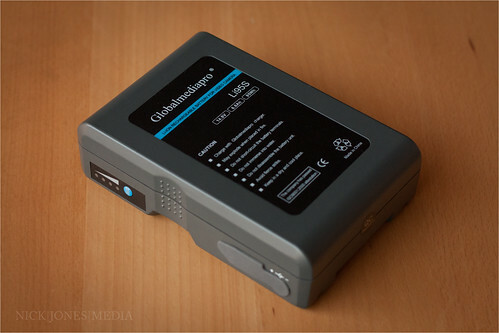 I made a quick unboxing video for the Li95s v-lock battery and SC1 mini-charger I purchased from GlobalMediaPro. This entry was posted in blog post, DSLR, iPhone, tests, video on January 31, 2012 by NickJonesMedia. This entry was posted in editing, Tw1tterband, Twitter, video and tagged charity, editing, music, tw1tterband, twitter, video on February 17, 2011 by NickJonesMedia.